Sleep has profound importance in our lives, such that we spend a considerable proportion of our time engaging in it. Sleep enables the body, including the brain, to recover metabolically, but contemporary research has been moving to focus on the active rather than recuperative role that sleep has on our brain and behaviour. Sleep is composed of several distinct stages. Two of these, slow-wave (or deep) and REM sleep, reflect very different patterns of brain activity, and have been related to different cognitive processes. Slow-wave sleep is characterised by synchronised activity of neurons in the neo-cortex firing at a slow rate, between 0.5 and three times per second. The neo-cortex comprises the majority of the cerebral cortex in the brain which plays a role in memory, thought, language and consciousness. In contrast during REM sleep, when most of our dreaming happens, neuronal firing is rapid and synchronised at much higher frequencies, between 30 to 80 times per second. Such patterns of brain activity during REM sleep are reminiscent of those observed during wakefulness, and for this reason REM sleep is often referred to as “paradoxical” sleep. There is growing evidence that slow-wave sleep is related to the consolidation of memory and is involved in transferring information from the hippocampus, which encodes recent experiences, and forging long-term connections within the neo-cortex. REM sleep has been linked to processes involving abstraction and generalisation of experiences, resulting in creative discovery and improved problem solving. Though there are substantial similarities between wakefulness and REM sleep, numerous studies have explored differences in the activity of brain regions between these states, with the cingulate cortex, hippocampus and amygdala more active during REM sleep than wakefulness. These regions are particularly interesting to cognitive neuroscientists because they are key areas involved in emotional regulation and emotional memory. However, which sub-regions are active within these broader cortical and limbic areas – the pathways in the brain that produce these patterns of activation – and the precise function of the activity in these regions during REM sleep is currently under-described. A new study published in Science Advances studied the physiology and functionality of REM sleep in a group of rats and provides insight into the cortical activity and the sub-cortical pathways that result in this activity. The level of detail of this study provides a major step forward for our understanding of the effect that REM sleep has on our brain and cognitive behaviour. The authors studied groups of rats who were allowed to sleep, but prevented from entering REM sleep for three days. Six hours before assessment, half of the rats were allowed to sleep normally, and half continued to be deprived of REM sleep. 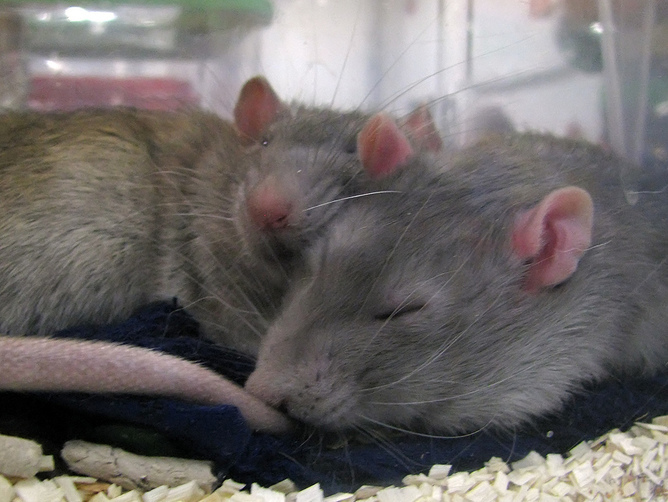 The rats that were permitted to sleep normally then demonstrated raised levels of REM sleep within those six hours. This enabled a comparison of the effect of recent REM sleep between groups. An additional control group of rats were allowed to sleep normally throughout the study. Gene expression analysis involves tracking the presence of particular mRNA or proteins that can be identified as the consequences of certain genes operating. The rats who underwent substantial REM sleep before testing were found to demonstrate greater expression of several genes that are associated with syntaptic plasticity (how quickly their synapses can adapt to changes in a local environment) and which affects the efficiency of neural transmission in the hippocampus. In the neo-cortex, the gene expressions related to how well our synapses adapt also increased following REM sleep, but those related to neural transmission were reduced compared with the group that was prevented from REM sleep. 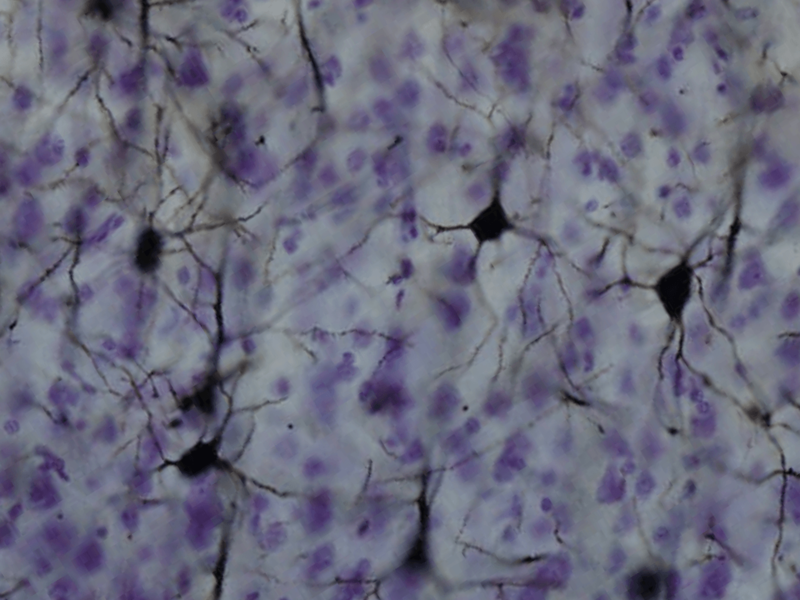 So, the function of REM sleep appears to be due to changes in the way that neurons communicate. This is consistent with the view that REM sleep allows the brain’s memory processing systems to re-balance, which enables effective responses to experiences the next day. Stained neurons from somatosensory cortex in the macaque monkey. In a further study, the same group determined the precise location of where these changes actually occur in the brain. In the neo-cortex, there was a general increase in plasticity throughout several areas, including sensorimotor regions that bring together sensory and motor functions. In the hippocampus, it was generally confined to the dentate gyrus, which is thought to contribute to forming new episodic memories among other things. REM sleep was also associated with reduced neuro-transmission throughout many regions of the neo-cortex, indicating that REM sleep likely results in a general weakening of the connections between synapses, which may enable brain networks to better learn from multiple experiences rather than be affected only by single instances. The claustrum: consolidating emotion and memory. The final studies the group conducted determined the source of the cortical changes in plasticity and neuro-transmission during REM sleep. By tracking signal transmission between different brain areas together with chemical lesioning (in which brain areas are temporarily inactivated), they identified two further areas called the claustrum and the supramammillary nucleus as having key roles during REM sleep. These two areas have been identified as involved in integrating emotion and memory. 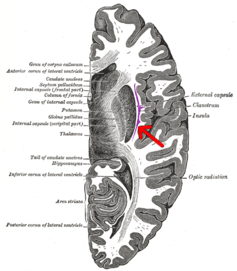 The claustrum is a very thin layer of neurons that are found underneath the inner neo-cortex. It is known to link to and from very many regions of this part of the brain. As such, the claustrum has been implicated in integrating stimuli from several senses and is involved in linking areas involved in emotional processing and attention. 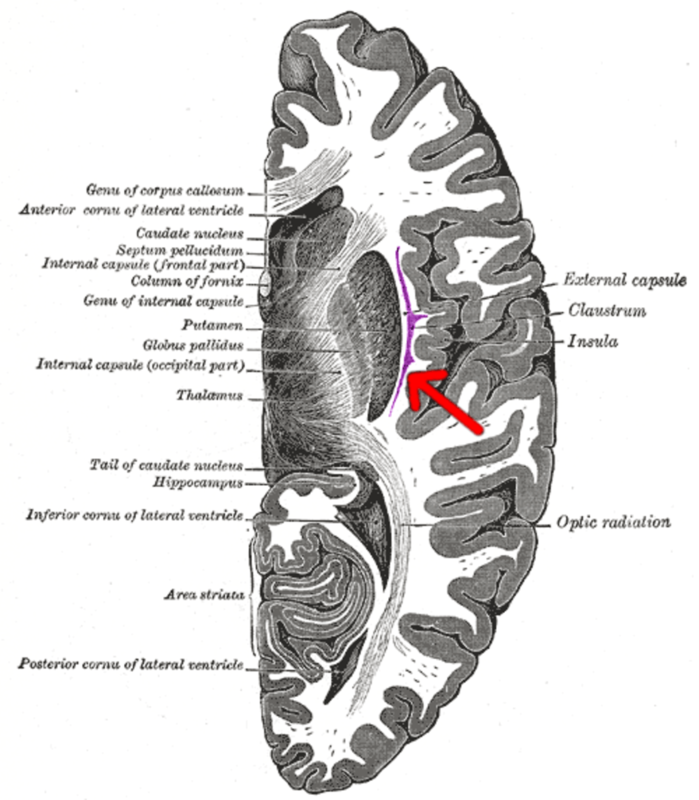 The supramammillary nucleus, within the hippocampus, is also known to interconnect to multiple areas of the brain, several of which are associated with emotional processing. The implications of this work provide converging evidence that REM sleep modulates activation and synaptic processing in areas of the brain that contribute to the processing of emotion. This is also consistent with previously untested accounts that suggest REM sleep is important for encoding memories (but without their emotional content). While the role of dreaming during REM sleep is still yet to be linked to observed effects from neuro-chemicals in the brain, understanding what is happening in our brains when we dream could yet prove to be key to processing of emotion and memory.